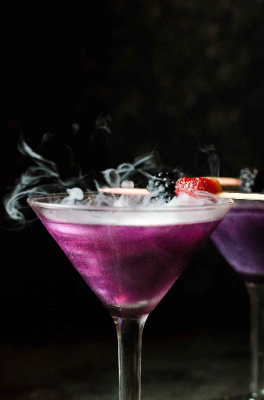 Need a signature cocktail for your Halloween party? We’ve got you covered! 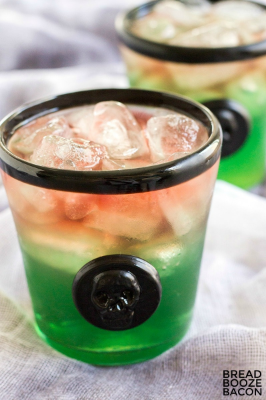 We looked for drinks that were easy to make, in Halloween-appropriate colors, and that included delicious ingredients. Try one of these (or try them all!) at your spooky bash! A vibrant green cocktail will be the hit of your party. A combination of melon liqueur, cranberry juice, and raspberry liqueur give it that great hue and a delicious taste. 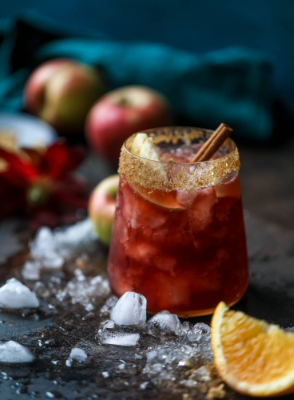 Full of apple-y goodness, this cocktail is one you can enjoy all season long. Don’t skip the brown sugar and cinnamon rim, it makes it extra special! Are you a fan of candy corn? 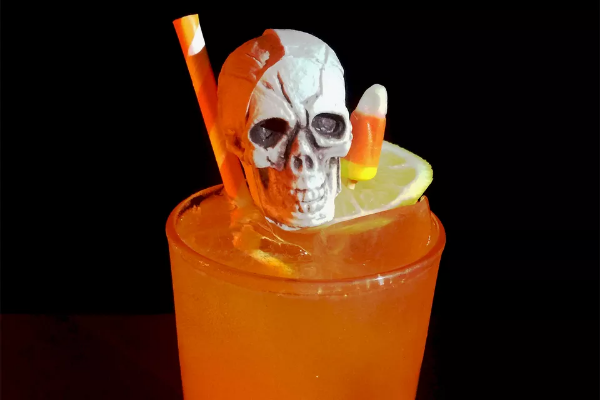 You’ll love serving this bright orange cocktail with homemade candy corn-infused vodka. A clever way to use up leftover Halloween candy! For fans of Harry Potter, this butterbeer-flavored cocktail is a grown-up way to imbibe the wizarding world’s favorite drink. This gorgeous cocktail is as fun to look at as it is to drink. 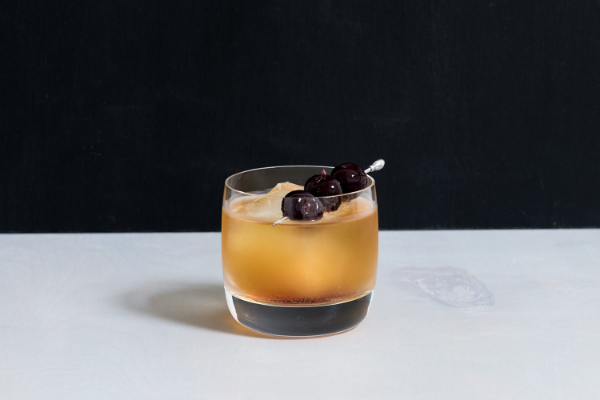 A homemade shimmery liqueur gives this drink a special glow. This one is so insane (and so cute!) that we had to include it. If you’re really into Halloween (you know who you are!) this crazy cocktail will definitely be the hit of your party. The “blood” is a simple sweetened raspberry puree. 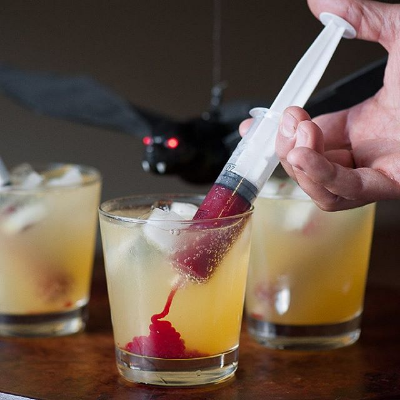 Prep the syringes ahead of the party and let guests “medicate” their cocktails. Horrifyingly fun!